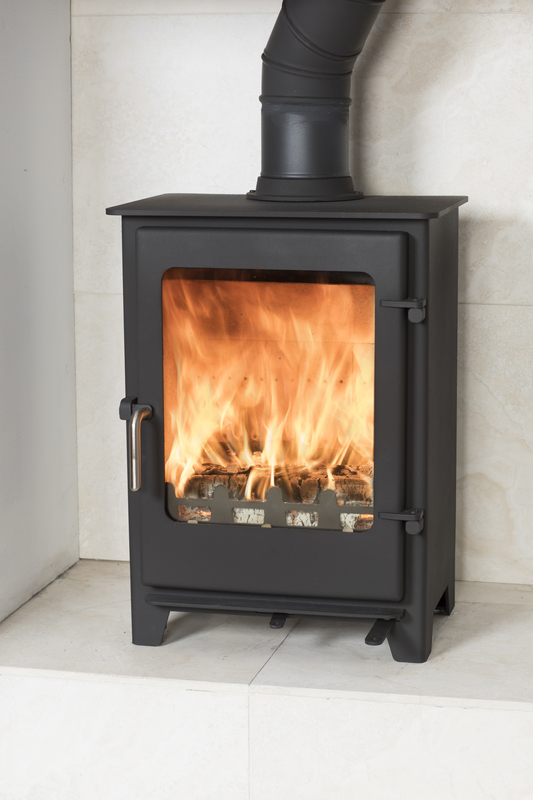 New for the 2017 Autumn/Winter season, the CROPTON stove has outstanding low emissions! In 2022, new ‘ECODESIGN’ legislation is due to take effect. All stoves made after this date must be officially & independently tested to have CO emissions of 0.1% or lower. In an effort to ‘future-proof’ our stove line, the new CROPTON stove has already been put through these rigorous tests, and has come away with CO Emissions of only 0.05%, an amazing 50% below the ‘ECODESIGN’ standard. This shows just how clean burning the CROPTON truly is. 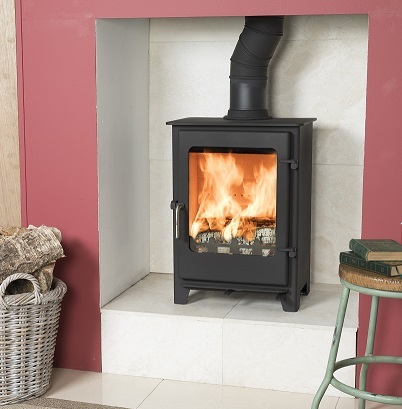 The CROPTON is also our first ‘slimline’ 5kw stove – a larger than average yet slim depth body allows a striking large view of the flames, making the CROPTON a perfect choice for most average size rooms. The CROPTON is also available with an ‘Outside Air Kit’ which is now a requirement in a lot of new build properties. For full details of the new CROPTON stove, please click here.